These days the family car is just as likely to be a minivan or an SUV as it is to be a sedan, hatchback, or station wagon. 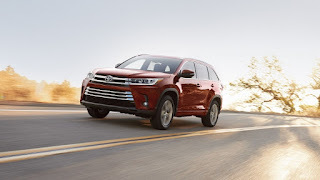 For decades, North Hollywood family car shoppers have looked to Toyota -- and specifically to Keyes Toyota -- when the time came to find the perfect family vehicle. 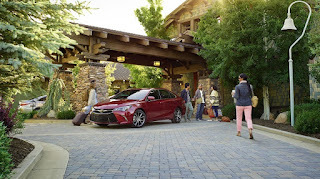 That's why we're proud to find two great Toyota vehicles on the annual Kelley Blue Book list of the best family cars. KBB evaluated dozens of contenders across SUVs and minivans. Their criteria were based on the same kinds of things the average person with a spouse and kids would be considering when they look for a family car. Their criteria included overall value (including long-term total cost of ownership), Safety, reputation, drive quality, available technology, cargo space, comfort and convenience features, and ease of use with child seats. There's a lot to recommend the 2017 Toyota Sienna. For many drivers, the fact that it's the only minivan offering all-wheel drive is enough. But there's more, like the optional Advanced Technology Package with smart cruise control and automatic braking, plus ample cargo volume. An added bonus (for some drivers) is the optional factory-installed Auto Access Seat. When installed, it lowers the second-row seat to street level. One more thing to consider: these Toyota vehicles both come with peace of mind as standard equipment. 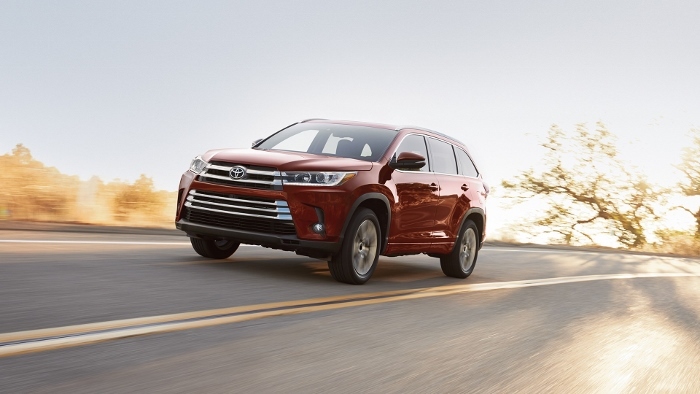 Both are five-star NHTSA safety picks, with the 2017 Toyota Highlander also earning an IIHS Top Safety Pick Plus. If you're looking for the perfect family car, these (and many other) Toyota vehicles found at Keyes Toyota deserve a closer look. Visit us today at 5855 Van Nuys Blvd in Van Nuys, CA today to find out more. *When properly equipped. Speak to your Toyota dealer serving North Hollywood for details. The Keyes Toyota staff takes as much pride in the Toyota vehicles we sell and service as the Toyota Motor Corporation takes in building them. The company gave us even more to be proud of at the 2017 Chicago Auto Show. They showed up in force with new vehicles, new trim levels, and some interesting concept cars, giving us a sneak peek at what's coming to the Los Angeles area in 2018 and beyond. 2018 Toyota Camry: You've seen the Toyota Camry, but you've never seen it quite like this. It made its American debut in Detroit last month and it's a welcome addition here. 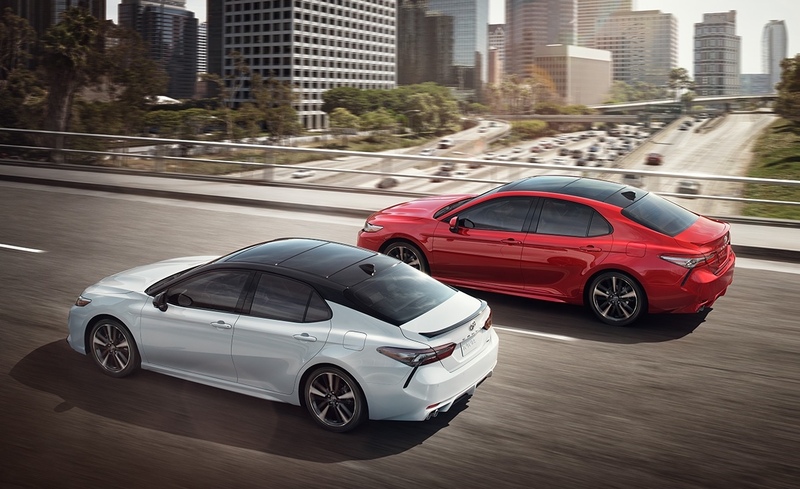 The best-selling Toyota sedan enters its eighth generation with a sporty and bold redesign that matches its looks with higher performance. 2018 Toyota Tundra: The Toyota Tundra enters next year with new safety features and some stylistic tweaks. Just as importantly, it (and the Toyota Sequoia) receives a TRD Sport trim level. We've already seen this on the 2017 Toyota Tacoma. It gives you off-road features at a lower price point than the higher TRD Pro trim. 2018 Toyota RAV4: The popular compact crossover gets a new adventure trim in the 2018 model year. Opt for the new trim level and you'll get more ride height, as well as a tow package that adds transmission and oil coolers, plus an upgraded radiator. On an AWD-equipped Toyota RAV4, that means a 3,500-pound towing capacity, which is 2,000 pounds more than the other trim levels. Other Models: We've seen the Toyota Prius Prime and Toyota C-HR already, but their return appearances are no less welcome for that. 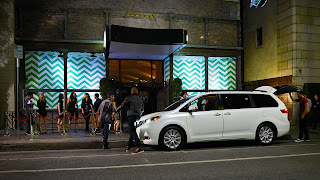 Likewise, even though the three concept vehicles on display (FCV+, i-ROAD and FV2) will likely never be seen on the streets around Los Angeles, they're a preview of the kinds of technology we might see in future Toyota cars. We always look forward to new Toyota vehicles. Judging by the 2017 Chicago Auto Show, the 2018 model year is going to be even better than usual, and that's saying something. While we're waiting on these new models, see what Keyes Toyota has to offer right now by visiting us at 5855 Van Nuys Blvd in Van Nuys, CA. If you're looking for a new car, truck, or SUV, the reasons to choose a new Toyota vehicle are legion. Not least of these is the fact that Toyota vehicles are known for their reliability. Toyota Motor Corporation sweetens the pot for new vehicle buyers and lessees with a no-cost maintenance plan called ToyotaCare that helps the Van Nuys customers served by Keyes Toyota have a long and happy life with their Toyota Corolla or 2017 Toyota Prius. Any Toyota vehicle that's purchased or leased new is eligible for ToyotaCare. Your coverage term will be the first of either two years or 25,000 miles. The exception is the included 24-hour roadside assistance, which is active for the whole two-year term regardless of how many miles you put on your vehicle in that time. Of course, not all of your needs will happen on schedule. That's where 24-Hour Roadside Assistance comes in handy. If you've run out of gas unexpectedly, gotten a flat, locked yourself out of your Toyota Tundra, or need a jump start, ToyotaCare has you covered. Here's the mandatory disclaimer: terms and conditions apply. ToyotaCare is only applicable to normal factory service. New Toyota Prius models are covered for three years rather than two. These offers are only good in the lower 48 United States plus Alaska. Your Van Nuys Toyota dealer has details about all exceptions and conditions. For new Toyota cars, trucks, and SUVs, the best feature isn't the engine, transmission, or infotainment system. They're nice to have, but the best thing is the peace of mind knowing you've got a vehicle that's got your back. ToyotaCare ensures that you'll get many years of faithful service. For questions, visit the Keyes Toyota showroom at 5855 Van Nuys Blvd in Van Nuys, CA today. To the usual certainties about death and taxes, we can add one more thing you can be sure of: you'll never find the right car without a test drive. Those of you shopping for a new Toyota SUV or car around Los Angeles have probably done many of the right things -- talking to friends, researching online, comparing prices -- but until you actually get behind the wheel, you're missing out. Keyes Toyota explains why. Why Test Drive a New Toyota Car? If you've ever bought clothes or shoes online only to get them in the mail and find they didn't fit, you've already got some idea of where we're going with this. Cars are a bit like pants. You may think you know your "size," but you really don't know if the fit is right until you've tried on a Toyota Yaris or a new Toyota Sienna. What fits someone else perfectly just might not be right for you, regardless of how good the reviews are. Taking a test drive is easy with a little preparation. First, think about how you drive (where you go most often, and who's with you when you do). Consider your budget. Narrow down a type of vehicle, like a sedan or an SUV. Gather any questions you might have come across in your research. 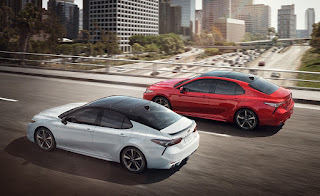 Pick two or three new Toyota vehicles to compare, choose options you'd like to have so you can figure out a trim level, and then bring yourself and your license and registration to the Keyes Toyota showroom at 5855 Van Nuys Blvd in Van Nuys, CA. Our sales staff will get you behind the wheel of the right model and trim that fits your budget. If you're trying to economize, we'll also help you get the most out of our used and pre-owned Toyota cars. Remember, we're here to help you. Be sure to ask about incentives, trade-ins, financing, and anything else that comes to mind. 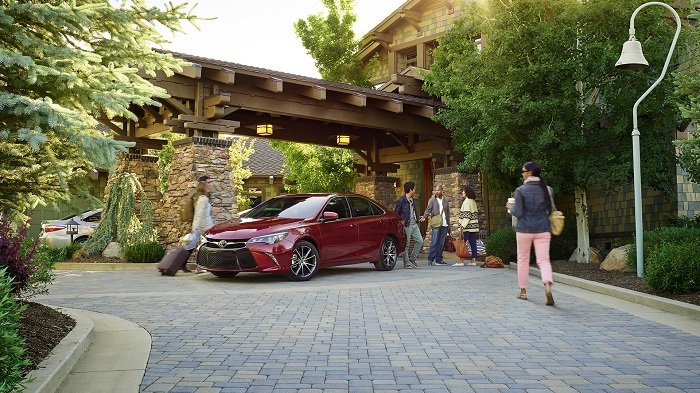 If you've visited our blog or our website before, you know what comes next: we welcome you to your Los Angeles Toyota dealership for your test drive, especially now that you're fully equipped to do it the right way. Questions? Stop by today!